An angle bisector is a line that cuts an angle in half. It divides the angle into two congruent angles. To construct an angle bisector, you will need a compass and a ruler or straightedge. Here are the steps to constructing an angle bisector. Draw a small arc through each side of the angle. Remember to not change the width of the compass. Also without changing the width, place the point of the compass at the intersection of the arc and the side of the angle. 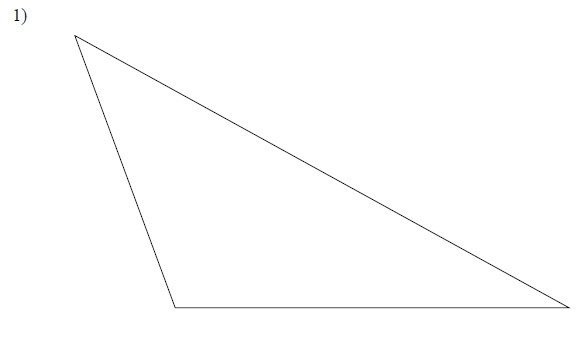 Draw a new arc in the interior of the angle. Repeat this for the other side of the angle. The arcs should intersect in the interior of the angle. 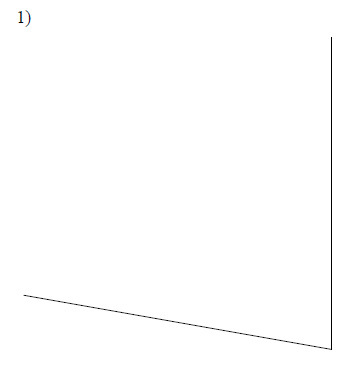 Using a ruler or straightedge, connect the intersection of the interior arcs and the vertex of the angle. This is your angle bisector! There are three angles in a triangle, so all together a triangle can have three different angle bisectors. 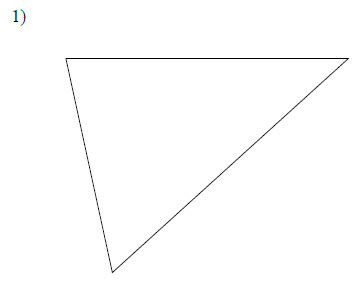 These lines will all meet together inside the triangle. Lines are called concurrent if they all meet and the point of concurrency of the three angle bisectors is called an incenter. Here are the steps to constructing the incenter of a triangle. Repeat the above steps and construct the angle bisector of one of the sides of the triangle. Do this again for a different side. You can construct the third angle bisector for added accuracy, but you only need two to find the incenter. The incenter is the spot where the angle bisectors intersect. This point is called an incenter because if you were to draw a circle that fits inside the triangle, the angle bisectors would always meet directly “in the center” of this circle. Inscribing is when you draw a circle inside a figure so that it touches all the sides of the figure. Here are the steps to inscribing a circle inside a triangle. Repeat the steps of finding the incenter. Place the point of the compass on the incenter and the pencil side on one of the sides of the triangle. Carefully, use the compass to draw a circle inside the triangle. The circle should fit snugly inside the triangle while touching all three sides. Construct the bisector of each angle. Locate the incenter of each triangle. Inscribe a circle in each triangle.